The European Commission has outlined its proposals to enhance existing immigration and criminal information data management systems used across the European Union and to implement new programs through legislation, with the goal of protecting external borders and enhancing internal security. The report also highlights the long-term objective of improving inoperability issues of information systems and creating a committee to support and analyze the interconnectivity of information systems across the European Union. The European Commission has outlined its proposals to enhance existing immigration and criminal information data management systems and to implement new programs through legislation. • Improving the functionality of the Schengen Information System (SIS) to allow the use of facial images for identification and to enhance the existing alert system, among other improvements. • Reforming the EURODAC system - a fingerprint database used to identify asylum seekers and irregular border-crossers - by improving return and readmission procedures. • Creating a police records system that would improve the accessibility of cross-border information stored in national law enforcement databases. The Commission also discussed ways to resolve system inoperability issues and proposed to start an Expert Group of Information Systems and Inoperability to address the legal, technical and operational aspects of systems operation. The goal of the group would be to analyze and promote the interconnectivity of multiple databases used by the EU member states. The European Commission's proposals are an important step toward improving the effectiveness and efficiency of immigration and criminal data management across the EU member states, with the goal of protecting external borders and enhancing internal security. Fragomen will monitor the proposals' progress and will report on further developments. This alert is for informational purposes only. 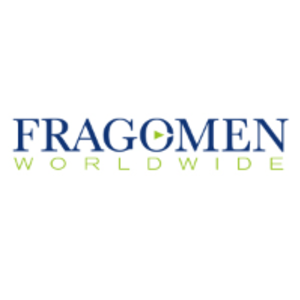 If you have any questions, please contact the global immigration professional with whom you work at Fragomen Worldwide or send an email to brusselsinfo@fragomen.com.